(2 images) Herring Gull 3cy (argentatus), May 23 2002, Vuurtorenvlakte - Maasvlakte, the Netherlands (51.59N,04.02E). 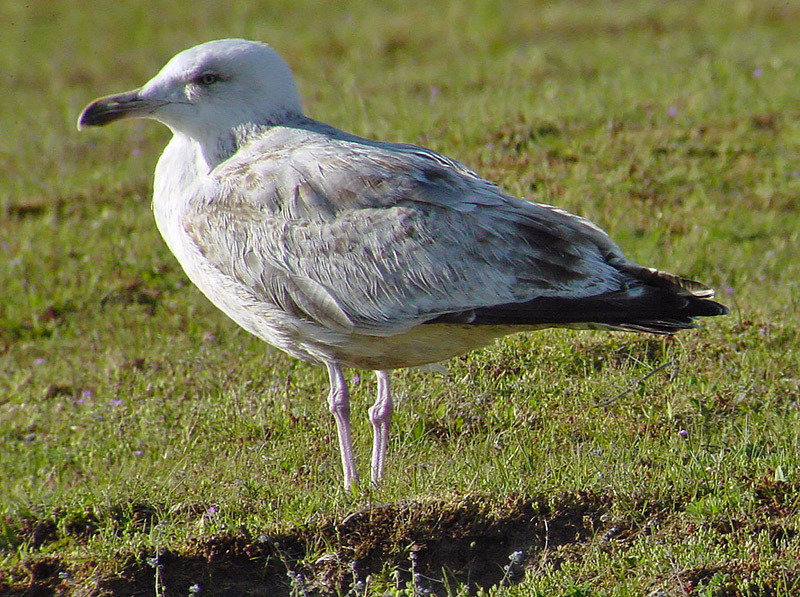 This is most probably a 3cy argentatus. 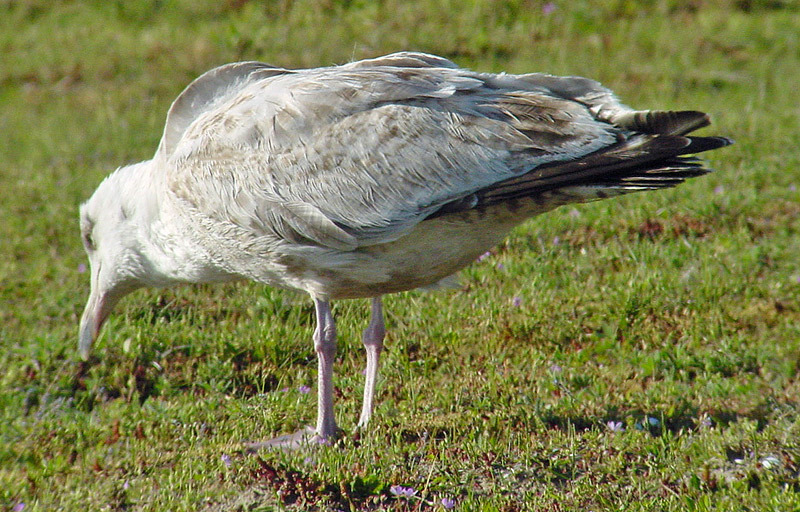 As can be expected in argentatus, the scapulars still show many abraded brown feathers lacking any complete plain grey scapular. The bill is still very immature, dark brown at the tip and dull pinkish at the base. The tertials are extensively brown centred and the tail shows a broad dark band. The primaries show the common pattern for 3cy: no white tips (although a slightly paler crescent is visible) and no P10 mirror. This bird has an extremely short primary projection, with P8, P9 and P10 all of (almost) even length. P6 is missing or at least broken on both sides, in the left and right wing. In argenteus, the scapulars create a grey saddle. It strongly contrasts with the brown-white chequered wing-coverts and dark centred tertials.